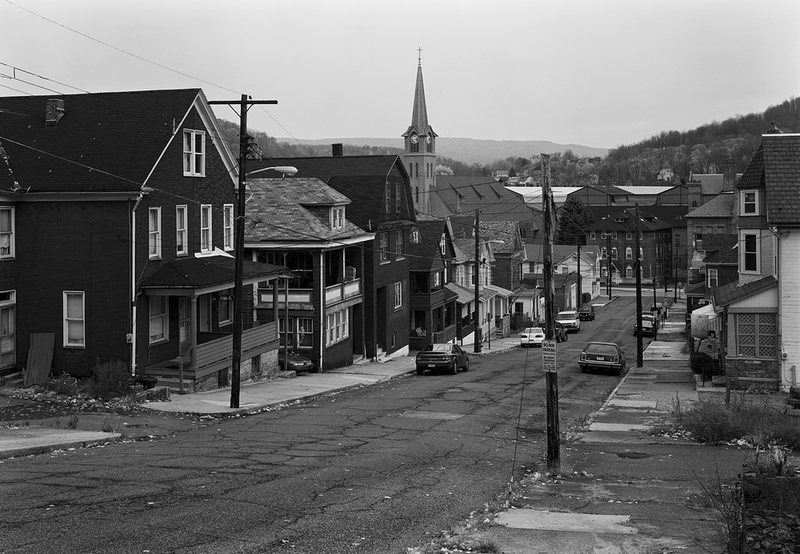 Part Four: Johnstown's Old Conemaugh Section: Moving into Johnstown from Franklin we enter a historic neighborhood that at one time was served by several railroads. The Baltimore and Ohio’s Somerset & Cambria Branch was a line incorporated in 1879, to tap local coal resources and serve the Bethlehem works. Though not nearly the operation of the PRR, the B&O nonetheless maintained a presence in town. Coming up from the South along the Stonycreek River, the line comes into the Old Conemaugh Section of town and forks, moving West toward a connection with the C&BL along Washington Street, and East along the sprawling Gautier Works between Clinton and Short Street toward the former Station area and Freight house that still stands today. 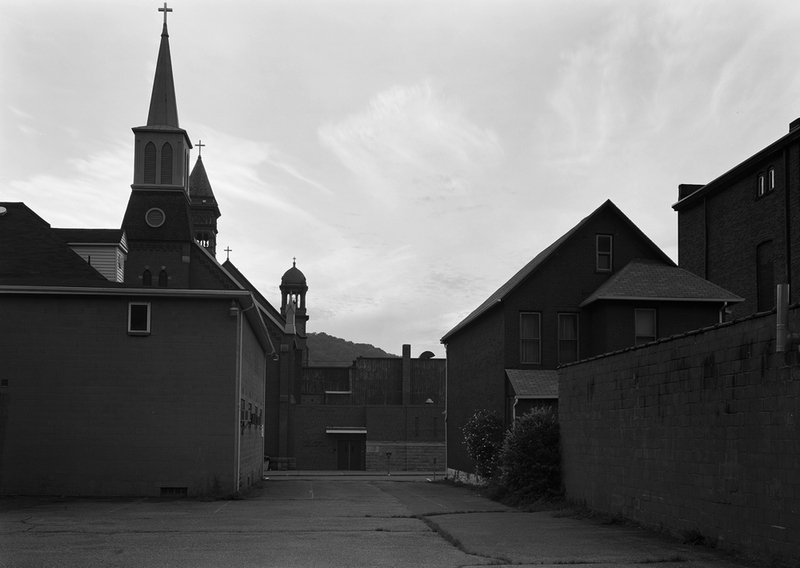 View looking West on Short Street with former S&C Freight House on the right and the Cathedral of Saint John Gualbert standing prominently in the center. Three very unique houses along Railroad Street in the Conemaugh Section of Johnstown. Two Churches are evident in this view from a lot bordering the Former S&C Branch looking Northwest. The Steeple in the foreground belongs to the 1891 Zion Lutheran Church the two further towers are part of the Cathedral of Saint John Gualbert built in 1895. View North from Matthew Street with Clinton Street side of the Gautier Works. View from Singer Street looking Northwest. 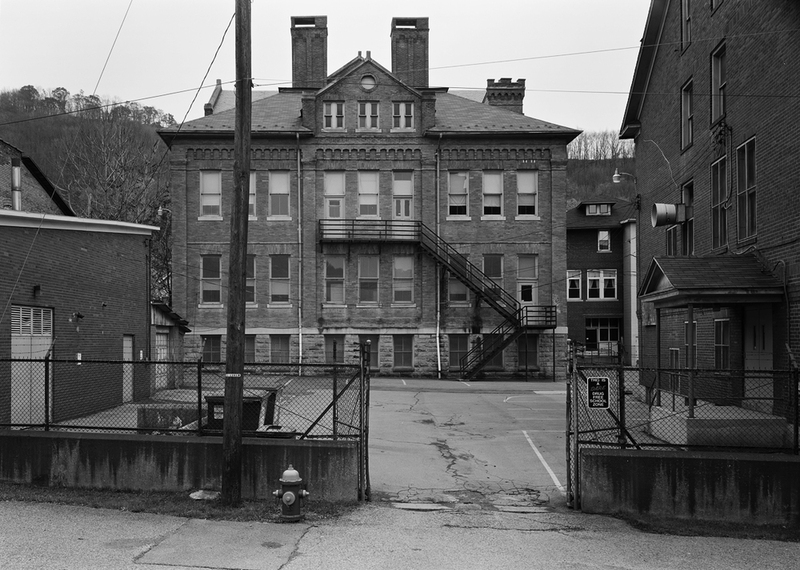 Note the Gautier Works behind the buildings on Railroad Street at the bottom of the hill. As mentioned the B&O and C&BL served the Gautier Works located along Clinton Street, accessing the sprawling facility from the North Side. The Gautier Works produced wire fencing, plows and other steel products for the agriculture industry. The size of this facility is quite evident from high views such as the one afforded from the surrounding hill sides. View of trackage along Washington Street looking Northwest. Note the Gautier Works to the right. From from the track layout this appeared to be an interchange area with B&O S&C Branch and the C&BL.